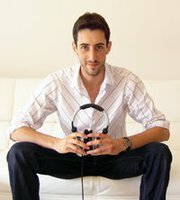 Great news, i'll be part of the episode Trance Station 35 as a guest this monday (18/07/2011 - 11PM) on Pulsradio Trance with Flo and T-Resoort. Thanks a lot to T-Resoort for the invite. Dont forget if you have any request or promos for my next radio shows you can send me an email. Hey there ! 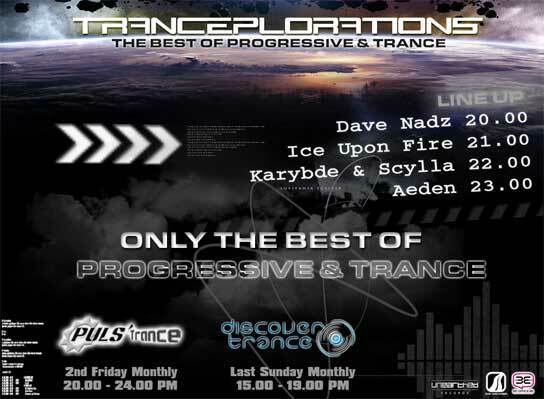 Thank for tuned in yesterday @ pulsradio trance chanel for the last episode of Tranceplorations. This month broadcast was a little bit special because karybde and scylla were not available so i caught the air for a 2 hours mix. Maybe you've missed this episode, dont worry and check tranceplorations.com for the donwloads, the official tracklist and the podcast. As usual you can listen directly the mix here (see the player at the bottom of the page). I wish you a great weekend, see ya next month !